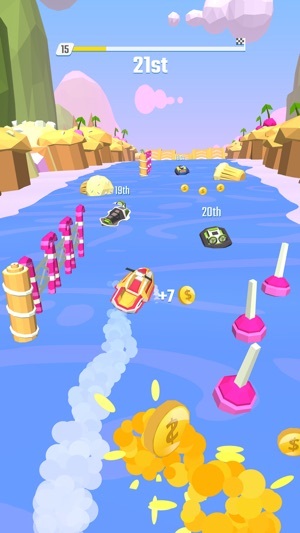 ◉ Try out new POWER BOATS. 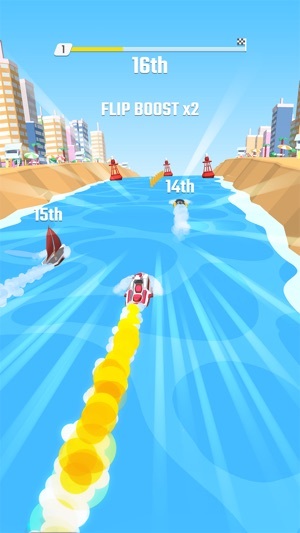 ◉ Get a Head Start with Rocket Boat. ◉ Use Unicorns' Mega Spin Boost for that extra magical help. Generally speaking, it’s a good game. It’s fun and the levels get more challenging as you go but they aren’t too difficult. It’s a pretty chill and lowkey game which I like. But, there are some things that are very frustrating that don’t make sense to me why they need to be in this game. First of all, the rest of the boats are robots. Meaning, whatever they do is random at any given point. Usually, you can get around them and they aren’t too much of a bother and I don’t think it’s a huge issue because it does add some more challenge to the game. However, when they end up flipping you over, slamming you into an obstacle, etc, that quickly gets irritating when you can’t do anything to avoid that. 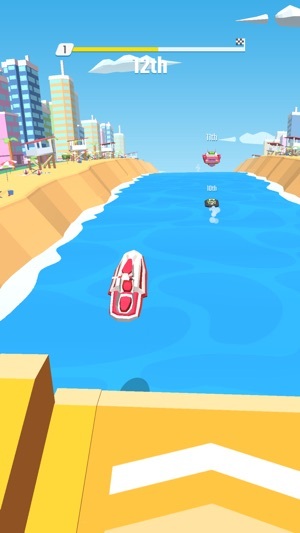 Second, I like how it’s possible to sink and again, I like that because it adds more challenge to the game. But, it’s so easy to flip over because of how hard it is to control your boat in the air and on the water. Third, because of these past two things, I think it would be better if we got to choose the levels we’re on instead of being stuck on the same level until we reach 1st place. If we want to get 1st place, then we can choose to keep playing that level over. But if we get 2nd or 3rd and we’re forced to feel replaying it? That frustrates me even more. Overall though, it is a good game but I think a few things could change a bit just to make the game a little more enjoyable. Got new iPhone and lost everything except the “no ads” purchase. I’m still able to log in from my old phone and it shows all my boats and progress. But I can’t do it on my new phone which is my money and not fair. I didn’t reset purchases or anything that should cause this. Please fix this account ASAP. I have screen shots as proof and I can still access all my stuff though my old phone iPhone 7 plus. I currently have 8 boats and 254 gem stones left and 9.54k gold coins. 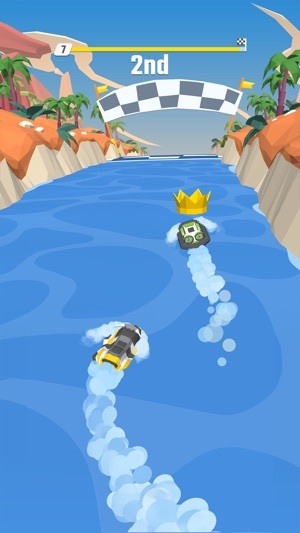 My user name is : TOny750C and I have the following boats: Fire Jetski, Sailboat, Icy Jetski, Super Yacht, Toxic Jetski, Red Hoverboot, River Drone, Cruise Ship. I can even record my screen and email you my log in process or whatever proof you need. I will edit this review of this gets done within 24 hrs. This is my money and I feel cheated. THE GAME IS also about the same every level. One just has more obstacles to maneuver but the levels are all alike and only go straight. 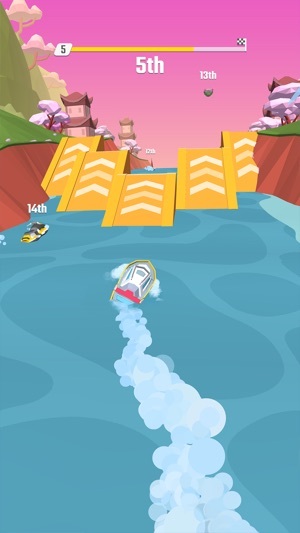 Never to the right or left, up and down or having bridges and different jumping options in new level or the ability to pick up extra speed packages of some sort or taking a shortcut that is risky because it would should be hard to complete the jump over a house or something etc etc. All those ideas plus multiplayer ability would be needed for this to be a 5 star game. As of now it is 0 stars due to my coin issue.